I am glad that my hopes for a strong finish to this season was fulfilled. 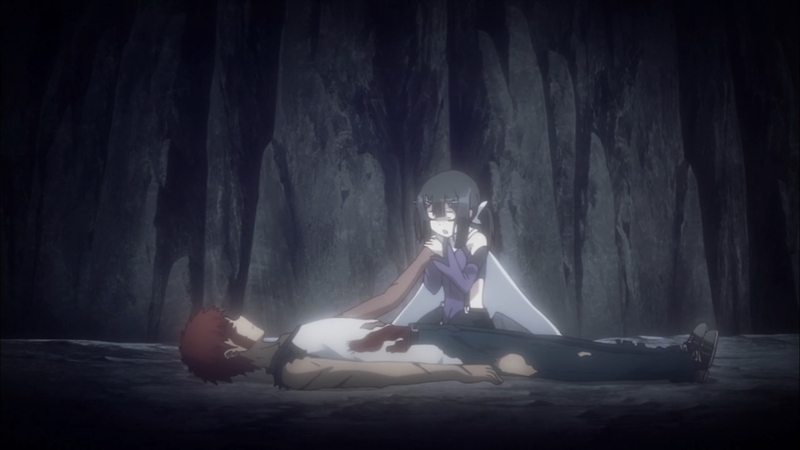 If last week was an example of an Illya episode failing to deliver, this was an episode that did the exact opposite. It is almost frustrating how much better this episode was than last week. Everything I could say about what they did wrong last week (and the more I think on it the more I dislike episode 11) they did right here. Good pacing that allows the action to feel appropriate? We got that too. Not rushing dialogue and letting moments sink in? They did that right this time as well. Where was all this attention and effort last week dang it? But they really did a much better job this week. It was nice to spend a bit more time showing Tanaka getting extremely hot again before clearly throwing her arm out there. Not that they didn’t have a quick cut of that in the manga, but it was from a distance and not overly clear. 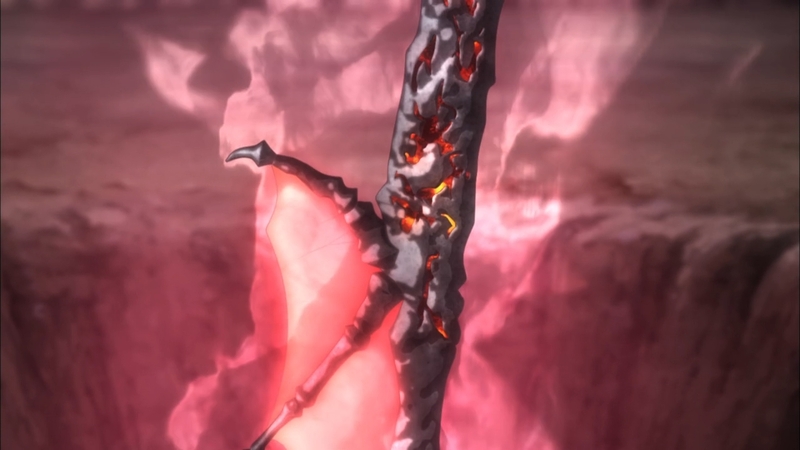 The sword (arm) did look pretty nice in the episode as well. Very weird looking in a sense, but also extremely powerful. In the end Tanaka absolutely turned this bleak situation around. And we get a good idea that she’s an extremely key individual for this story going forward. That arm…somehow turned into a sword that could basically melt away the mud that was being poured out. It wiped out the servants in the immediate vicinity and Illya was able to use that to smack that cube pouring out the mud. Now normally you’d think doing that would allow even more mud to spill forth, but I guess it doesn’t work like that. Especially when what broke the cube was something that could burn that stuff away. It is strange that Erica starting talking like that. Something very wrong has happened because of that muck. The stranger thing may be what she had to say about that sword. That it is an arrow of flame sent to convict counterfeits. It does seem like we’ve got a power much bigger than any of the main cast getting involved in this. 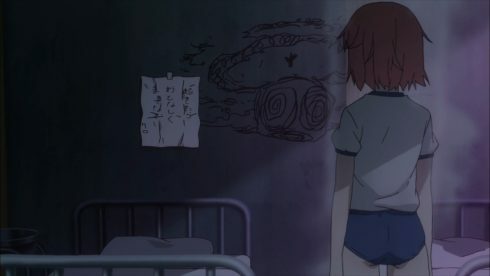 Honestly this is getting into some of the Fate lore that I have no clue about. Simply put it sounds like the world is basically saying “nope” to the Ainsworths and their plans. That the powers they have tapped into are ones they aren’t allowed to touch and there are now consequences for their activities. The other unusual thing was that Julian talked about the absolute limit for Illya being saving Miyu and the world. 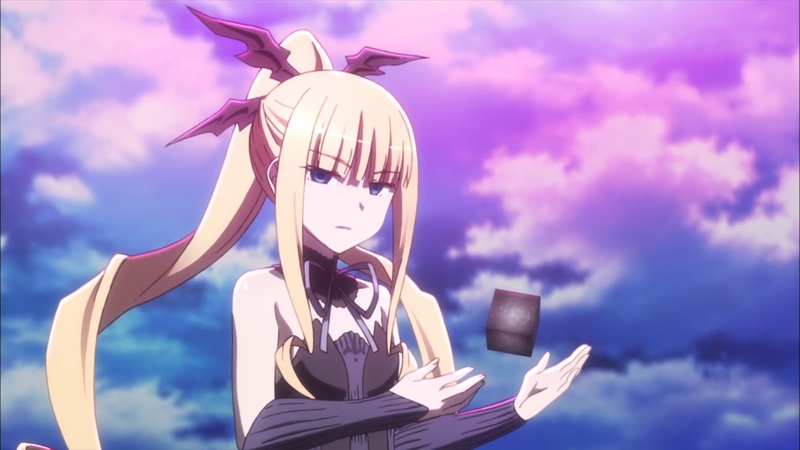 I’d consider that a pretty good win considering Julian’s plan is definitely not going to save Miyu and I’m not sure if transforming humanity into some other life form is saving them either. But let’s look at it from the perspective that Julian doesn’t consider his side being either of those options. That Illya can save the world, save Miyu, but his counterfeits won’t be part of the saved groups. 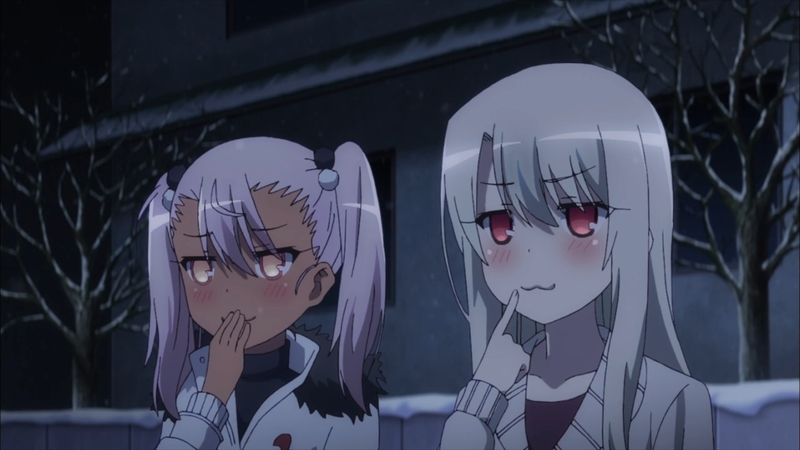 Of course if you tell Illya that she’ll just add even more to the pile she’s going to save XD. 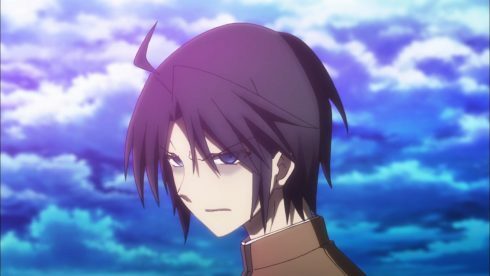 Gil has vanished, but not without making a serious nuisance to himself. 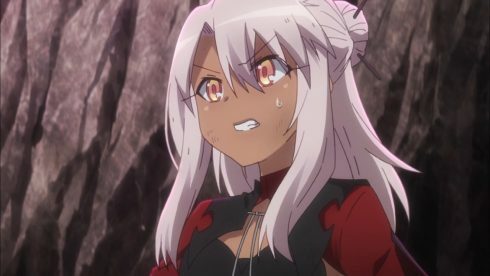 Did he really have to go and say to Julian that he should go ahead and capture Illya as well if he wants to accomplish his goal? Now he’s got a bullseye on Illya and possibly Kuro as well since she’s shown more wish fulfilling powers than even Illya has to this point. Thanks a lot Gil. That guy has really turned into a very frightening third party to this conflict. How he’ll get involved in the future is something I can’t possibly guess at. 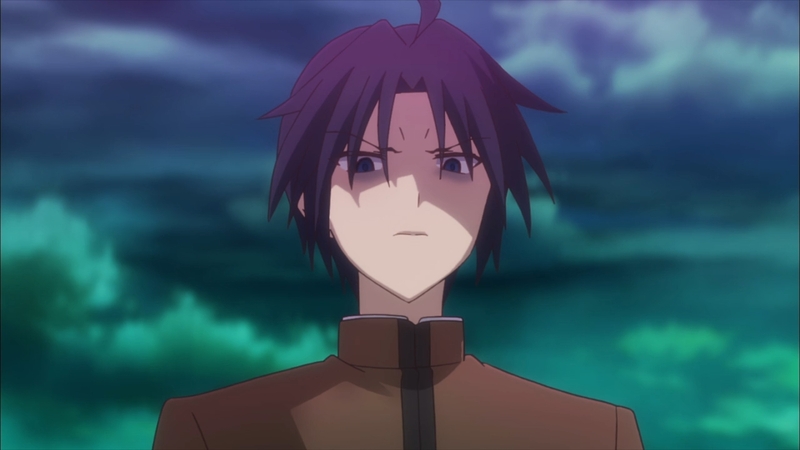 But, I sure hope he won’t turn into a straight up enemy for Illya and company to face. 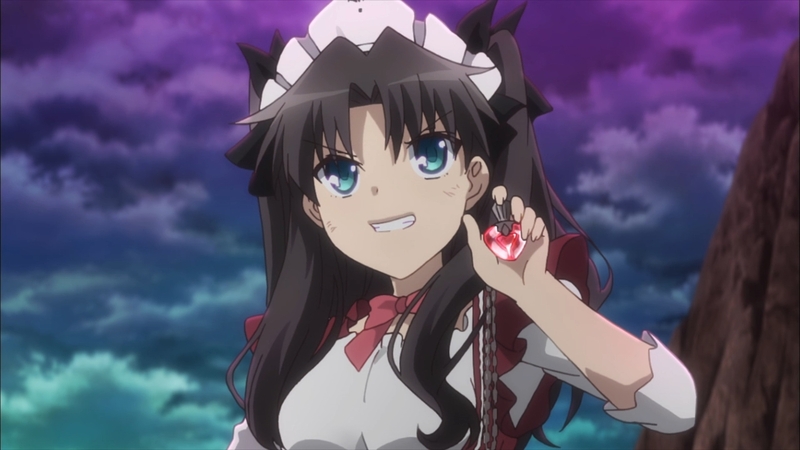 At least getting Rin back on their side paid off in a big way. They gave that jewel of hers focus in the first episode for a reason. 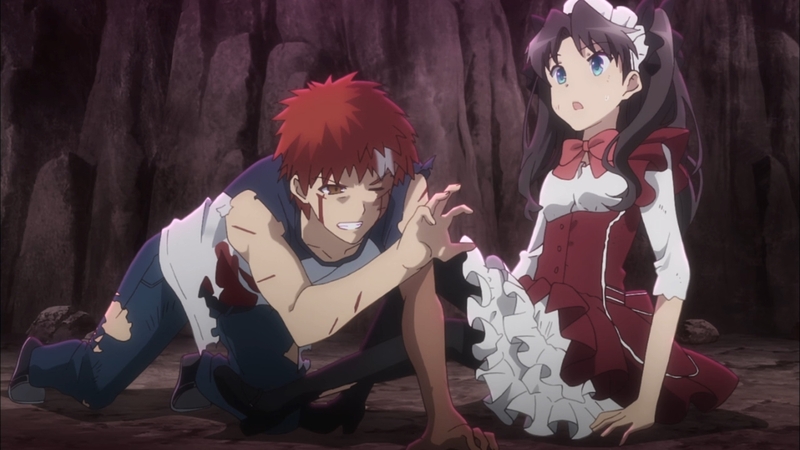 That really is the only reason Shirou survived this one. 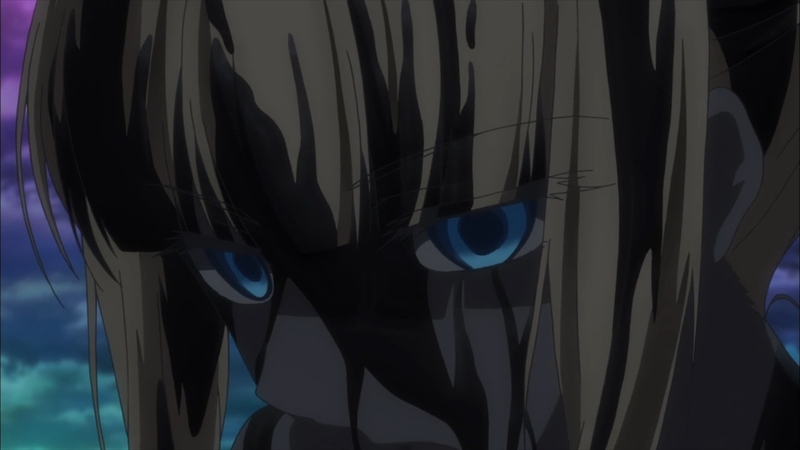 That he risked his very life to block that attack by Beatrice is understandable. 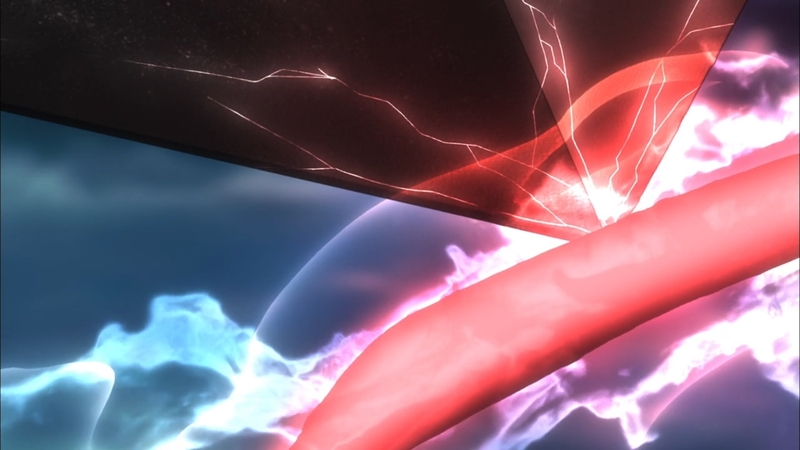 I’m not sure why they switched up the way he blocked that attack (replacing the massive sword he summoned to block it with Rho Aias), though I guess it was easier to animate. Shirou was in such a bad state before that point that obviously doing something reckless like that would only worsen his condition. Without that gem being pulled out by Bazett then….this would have ended a tragedy. 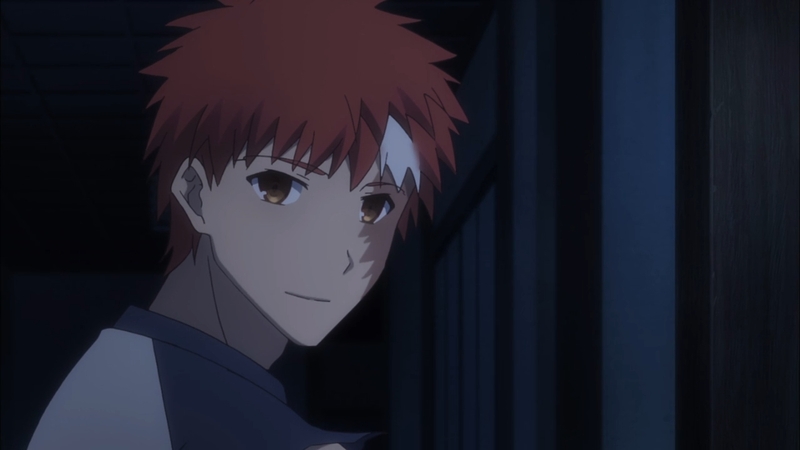 In some ways I think the uneven pacing of episode 11 came because of where they wanted to end episode 12 (though in that case just make the season 13 episodes…) Not simply ending with Shirou being saved and the battle ending, but getting all the way back to the Emiya household. It was nice of course seeing her brother welcome Miyu home. 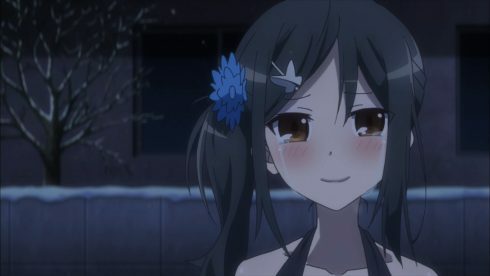 That part of the episode having a lot of the lightness that this arc has lacked. 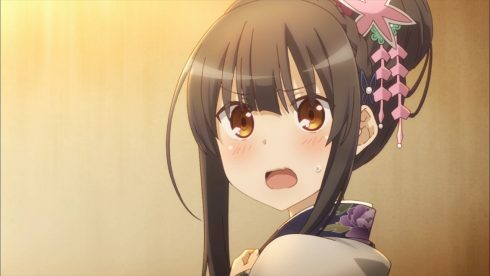 Miyu being returned is in some ways symbolic for the return of the fun. Although this adaptation did a cut a lot of jokes which makes that feel even truer than it probably should. Yes this did allow for some fanservice, but that wasn’t really the point of all that. The focus was on Miyu really relaxing upon arriving at home with her brother. The girl who had to be so reserved and quiet could finally open up. 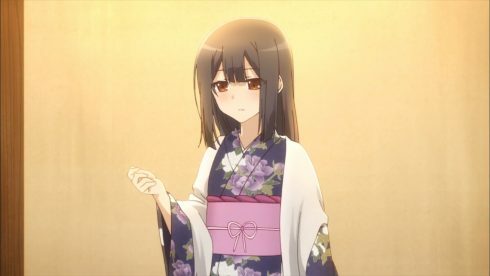 It probably has been a long time since Miyu could be a bit selfish and just demand some pampering. Good for her being able to just have a bit of fun for a change. 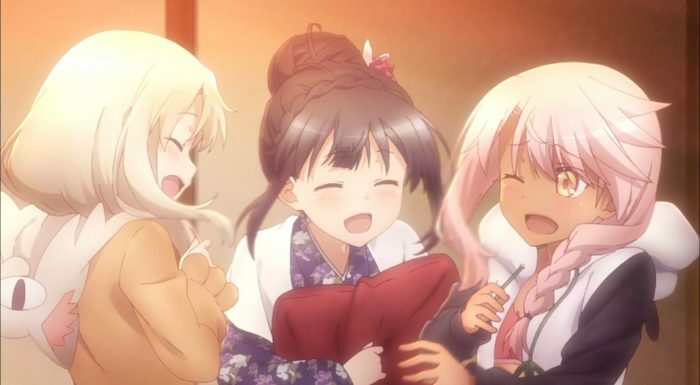 Also it was nice for Kuro and Illya to get to see another side of their friend that they rarely get to see. Clearly the place they ended this episode was set up for one key reason. 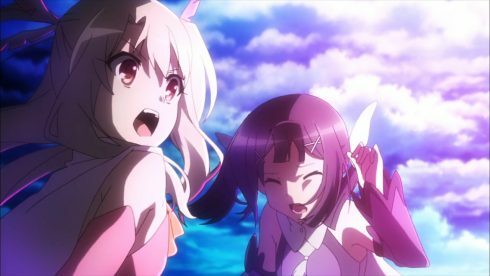 The upcoming Prisma Illya 3rei movie! 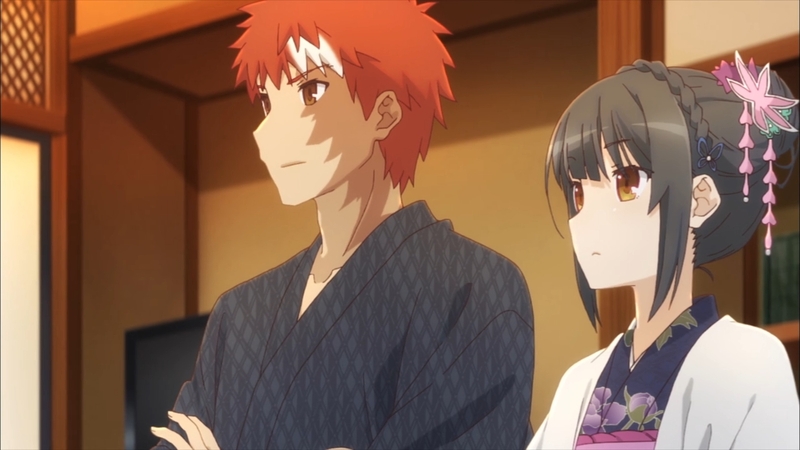 I was wondering what they were going to do for the upcoming story about Shirou and Miyu’s past. That could have possibly been done in another 10 episode season, but a movie may be the best way to actually handle that material. 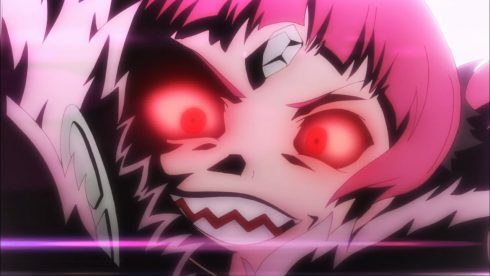 The manga is not that far beyond the material the movie is likely to cover. I could see 3rei coming back a year after the movie is over for another full season to cover the remainder of the manga. This was definitely one of my more highly anticipated series for 2016. I think from an anime-only point of view this series would be considered a pretty successful one. They covered a lot of material from the manga and did manage to include one of the bigger fights of the entire series. 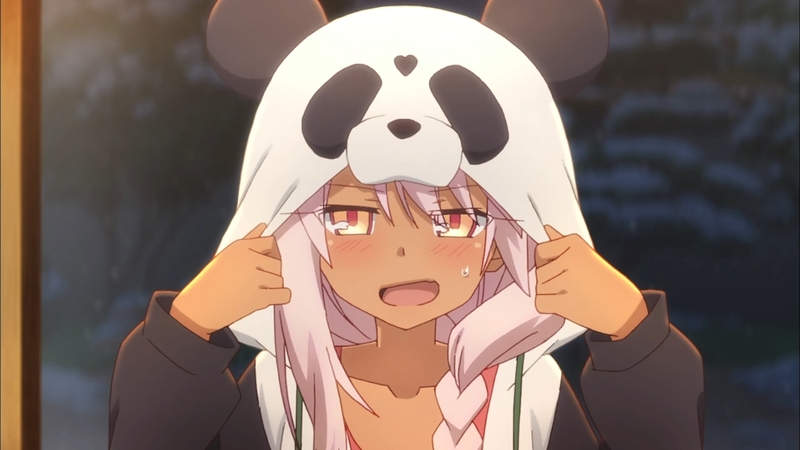 Being able to end the first part of 3rei with Miyu rescued should allow this to feel a lot more complete for people than it would otherwise. And obviously material not included isn’t going to bother people unless they can notice moments where something feels off. For those that are familiar with the manga this is a much more mixed bag. I do not have a problem with those that fully enjoyed this series and they are a big reason this season was even made. I just wish they had done things a bit differently (especially in that one episode). Adaptations do require compromise and often aren’t everything we’d want. But there are things that leave me unable to consider this the best season of Prisma Illya. A lot of the humor was cut in this arc. I know this is supposed to be a serious situation, but there is no reason that you can’t have a few jokes. Comedy often works pretty well when lightly sprinkled in serious stories. 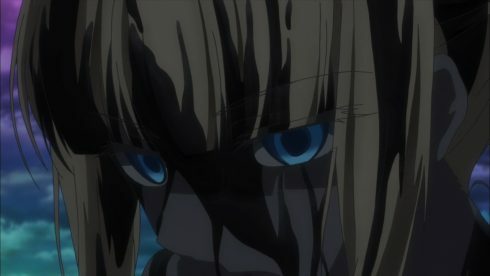 The biggest thing from at least a manga point of view is episode 11. 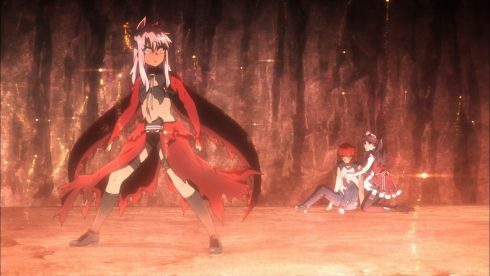 That should have been the highlight of the entire Prisma Illya series to this point. Instead we got a slightly poorly paced episode with some of the worst animation of the entire series. Now they can fix that for the BD and that would raise the level of this season by a few notches. It’s kind of ironic that we get a movie that should help redeem Shirou after episode 11 really underplayed his impact on that situation. 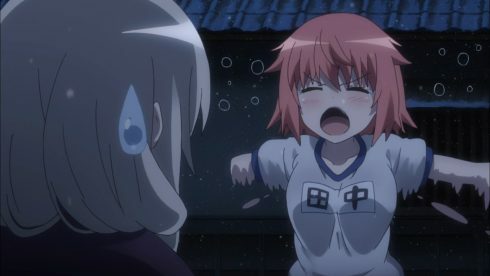 I don’t think it is objectively a terrible episode, but it is so much worse than it should have been. There has been some hiccups in this adaptation. At times it has felt like they were pushing the pace a bit too hard. 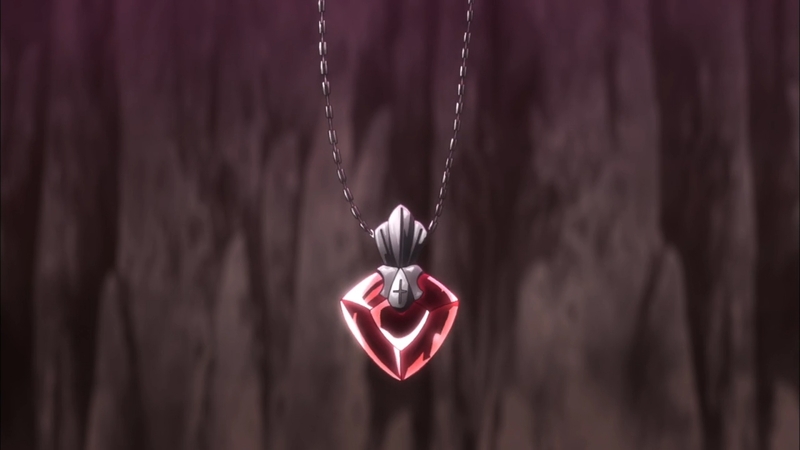 An ironic reversal from the series to this point which has often had too many episodes for the material it was trying to cover. 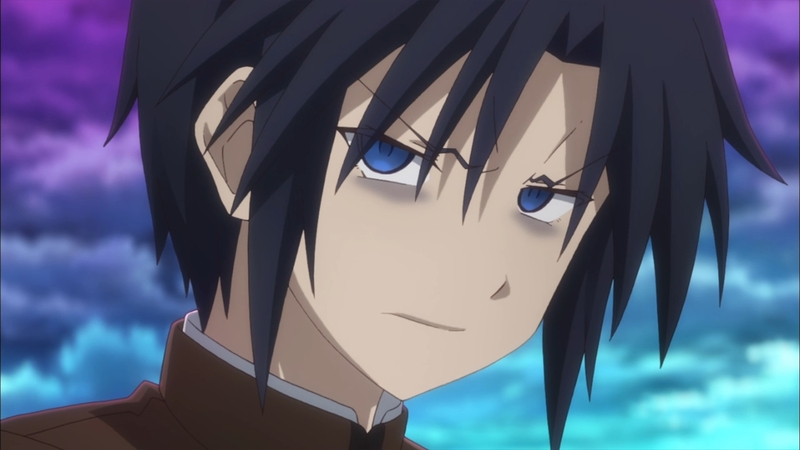 But in general I don’t think the pacing was too bad. We did lose a few lines here and there along the way, but overall I think the story flowed well enough. Some great moments were shown and I’m glad for that. 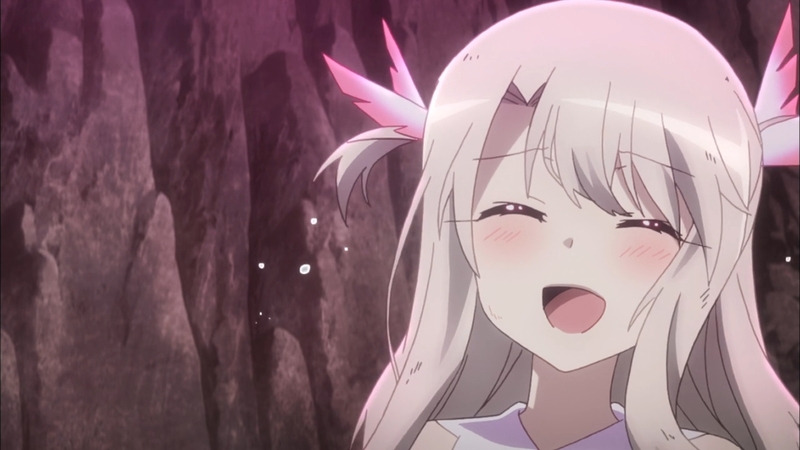 Illya’s attack in this episode was a lot of fun to watch. 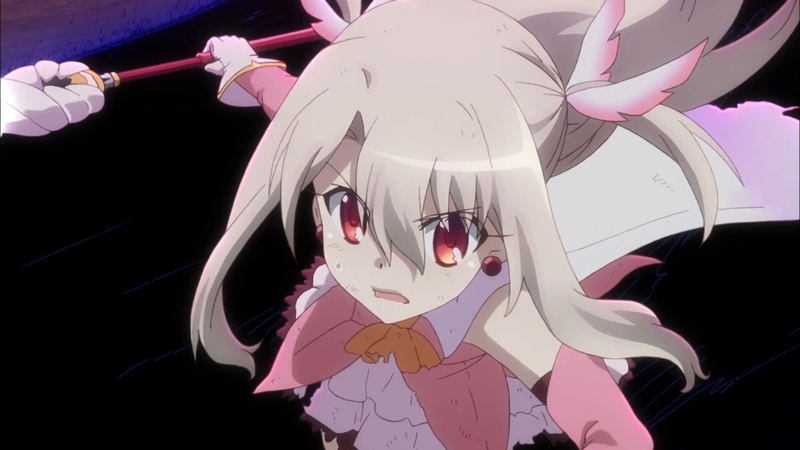 I also really enjoyed seeing Illya step up and decide to save both Miyu and the world. 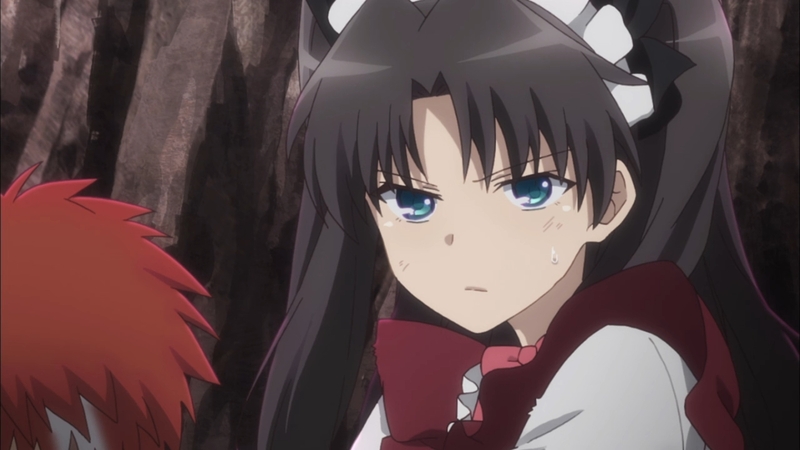 Even the little showdown with her and Kuro was quite fun. This wasn’t some failed adaptation, just one that made some tough choices and stumbled at times. I can’t really forgive the job they did with episode 11 (even if the material saved it). But overall I’d still call this a good season. Now if they can fix up a few things with the BDs then it would really be a great season overall. I’m looking forward to the movie and hope that they get it right. They can probably do much better animation and fighting with a movie’s budget and timeline. 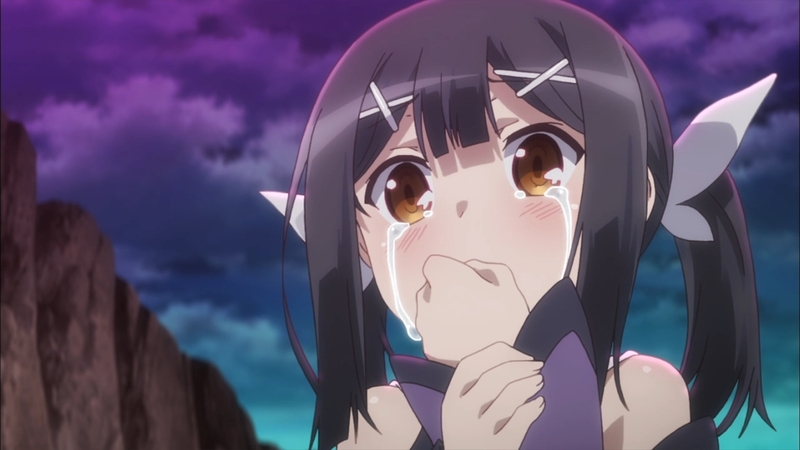 Let us hope though that after that film passes we will get an announcement for another anime season. This is a story that deserves to be completely adapted. in Fate/kaleid liner Prisma☆Illya 3rei! !